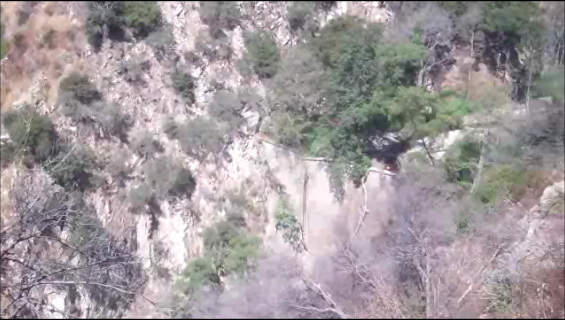 This federal dam is located near Paul Little Picnic Area in the Arroyo Seco canyon about three miles above the mouth of the Arroyo at JPL. 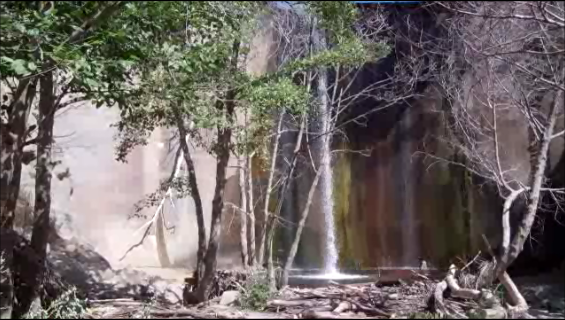 The dam was built as part of the US Forest Service's Los Angeles River Watershed Program in the early 1940s. It quickly filled up with sediment and has caused a massive of buildup of sediment behind it while blocking fish and wildlife passage and degrading habitat conditions below it. 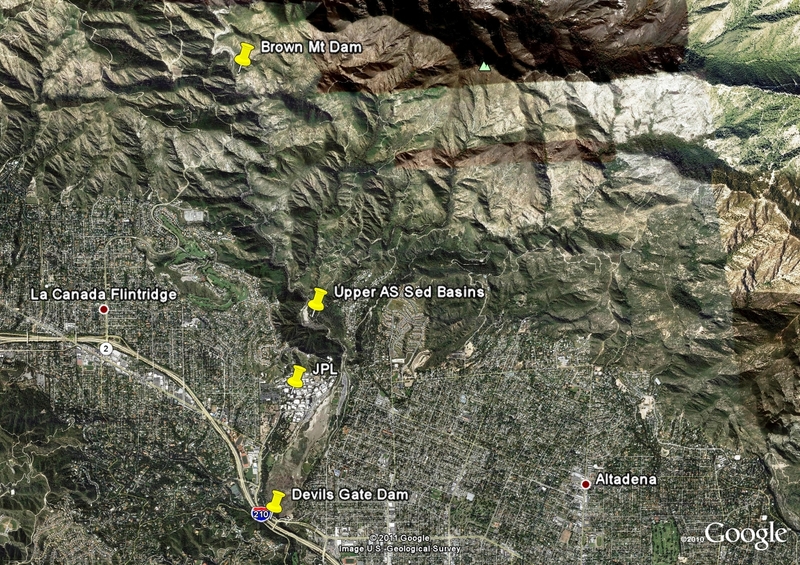 Here are several GoogleEarth images, prepared by Ted Johnson of CDM. There are two aerials at different scales and one oblique view. 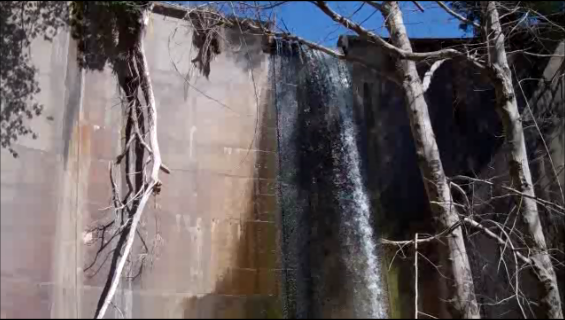 Here is an oblique view of the dam. The dam is somewhat obscure because it blends in with the rock formation, but it is possible to observe the elevation drop. 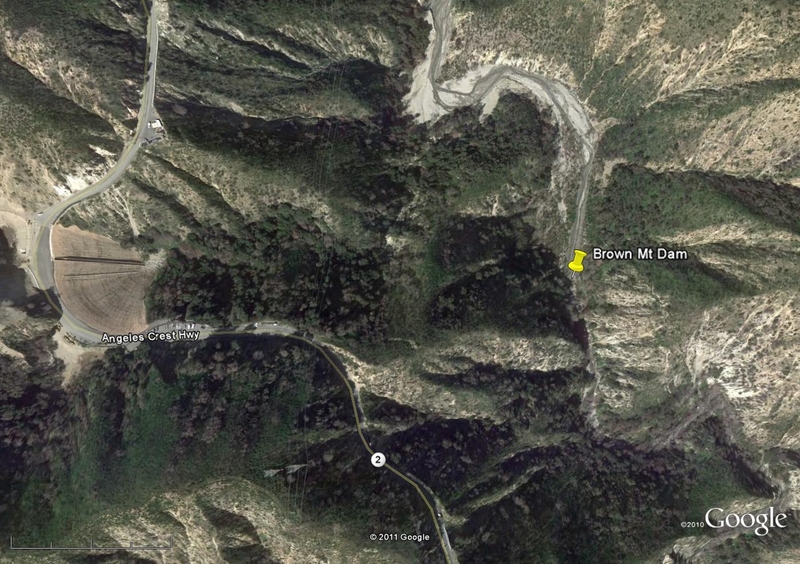 The dam is approximately 1500 feet to the east of and 620 feet below the turnout on Angeles Crest Highway (Hwy). at approximately 1745 feet above sea level in elevation. 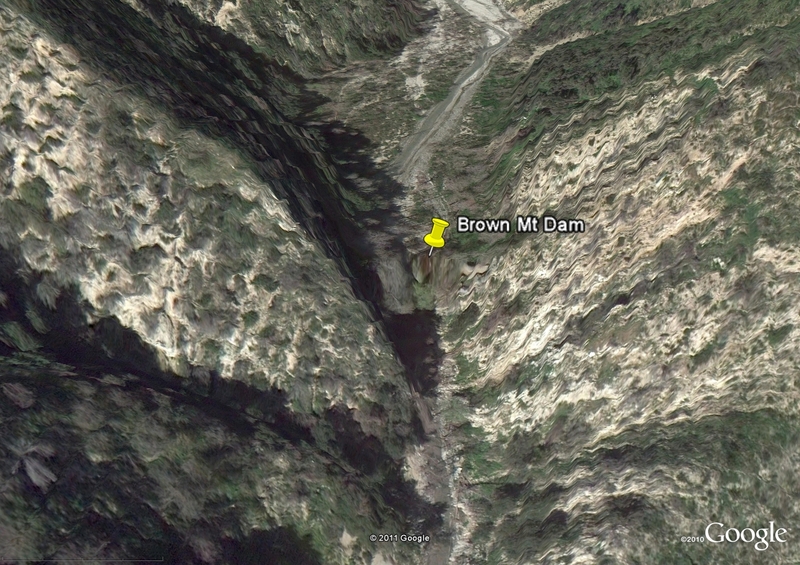 Brown Mountain Dam sits right in the middle of the Arroyo Seco River about 3.2 miles north of the mouth of the Arroyo Seco at Hahamongna. Take the Gabrielino Trail, the main Arroyo trail, up the canyon to Paul Little Picnic Area. Don't take the path on the right up the slope, but rather go past the picnic area about 200 yards further up the stream.